Madison asks Chris to do her a special favor, and teach her a lesson. She needs help from someone experienced, and she's eager to learn... but that's just an excuse. She pines for someone too close, too forbidden, and when she finally lays all her cards on the table... she's shocked by his enthusiasm. What these two lack in experience they make up for in passion. The rest is too taboo, so you'll have to look inside for details. Natalie Deschain's Taboo Tales are standalone stories and may be read in any order. Katie's husband isn't getting the job done, but someone close to her is ready to fulfill her special needs. This taboo scorcher is too hot to talk about out here. Look inside and see the naughty details for yourself. Tuition, gas, credit card bills... it costs a mint. The only way Katie could keep up was by running a cam show a few times a week... at first. Then the money start to pile up as the tips came in and she grew more daring, addicting to the thrills and the quick cash. Taboo delights await inside. Take a peek for all the naughty details. When she learns someone close to her has been dumped, Catherine takes it upon herself to cheer him up. Her special guy just can't seem to get lucky even though he's a strapping hunk. Oh, it may be forbidden, it may be taboo, but she can't just let him suffer, can she? Oh, she won't. I can't tell you the rest. Look inside and see. When they get a little too close on a tense vacation, Erica and Hunter go out for a nighttime swim. Once, they were so close, but they grew apart. 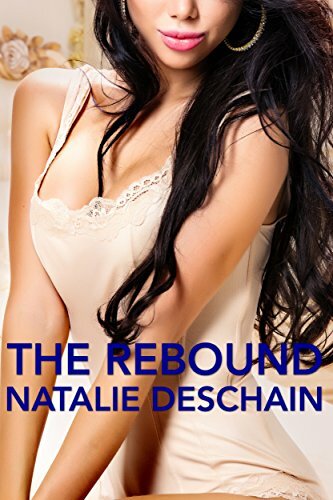 Sparks fly as they find themselves in close quarters again, and beneath the barbs and insults Erica sees the truth and offers herself to the one person that wants her the most, no matter how forbidden, no matter how taboo.